Like inspirations such as Super Mario Bros 3 and Kid Icarus, Owlboy has developed its own speedrunning scene. But while those games have been set in stone for decades—routes mapped and re-mapped countless times by speedrunners—Owlboy is still being updated. 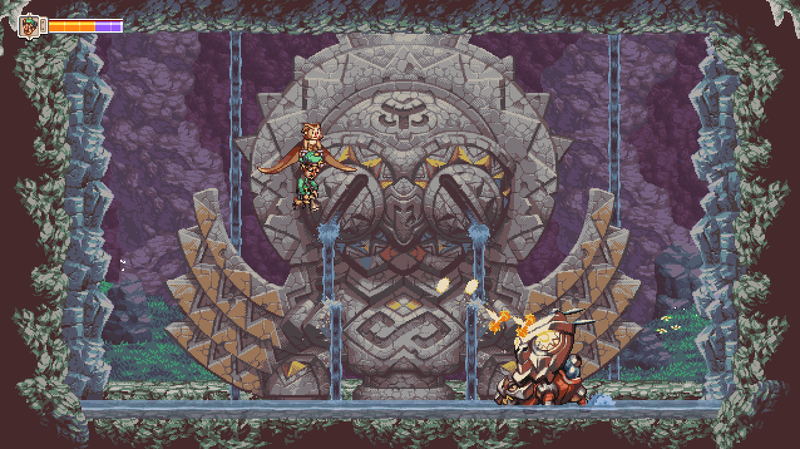 Owlboy’s developer, D-Pad Studio, walks an especially precarious tightrope. On one hand, it wants Otus the owl’s journey to be as polished and intuitive as possible, but, as it revealed in a recent interview with Gamasutra, it doesn’t want to pave over paths uncovered by feverishly dedicated speedrunners. I reached out to programmer Henrik Andersen for more detail, and he explained that the most popular type of Owlboy speedrun involves players going outside the bounds of levels. Problem: if you’re a regular player, getting stuck outside a level totally blows. D-Pad’s done its best to strike a balance. He also noted that D-Pad is actively “in touch” with speedrunners, and a result, the studio has even added glitches back into the game after patching them out. One time, for example, Andersen and co patched out a glitch that let players skip a boss, but that rendered a world-record speedrun impossible. Upon learning this, they put it back in. The team’s also kept an eye on mechanics that can be abused in interesting ways to improve speedrunning times. He pointed to a glitch where players can spam side-up-side-up to fly up waterfalls that normally push them down. The dev team could’ve treated that like any other glitch and patched it out, but chose to leave it in. Andersen acknowledged, however, that the team might have to fix a few out-of-bounds routes ahead of Owlboy’s release on the Nintendo Switch to appease “stricter” console requirements. Still, he hopes to maintain an ongoing dialogue with speedrunners, because he thinks it makes the game more interesting and, on the whole, better.